Riad Taha was president of the Lebanese Press Federation (LPF) for 13 years. The first time we spoke was on the telephone, in April 1975. The last time we spoke was also on the telephone, in July 1980 – the month he was machine-gunned mafia style after a car chase on Beirut’s seafront. Born in Hermel in 1927, Riad Taha spent 38 years of his life in journalism – the last 13 of them as president of the LPF (grouping the Lebanese Publishers’ Union and Lebanese Journalists’ Union). He received his education at the Jesuit School in Homs, Syria, the Oriental College in Zahle in Lebanon and the Patriarchal College in Beirut. At the age of 15, while he was still a student in Homs, he put out his first publication – the al-Siraj literary magazine. Two years later, he put out another literary magazine, al-Awtar, and in 1945, he was named editor in chief of the al-Tala’eh magazine. In 1947, he became co-owner of the Akhbar al-‘Alam political weekly, but the government suspended its publication after four months, because of its radical contents. 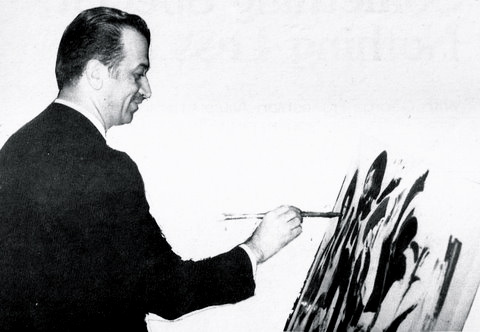 In 1949, he founded the first local news agency in Lebanon and the Middle East. He also published several dailies and weeklies (al-Ahad, al-Kifah, al-Afkar) during his long journalistic career, and a number of books. In 1952, he survived an assassination attempt but was treated in hospital for several wounds. The LPF adopted the article that had led to the attempt on his life and published it in all Lebanese newspapers. In 1967, he was elected LPF president, a position he held until his murder on July 23, 1980. His term had been renewed on December 19, 1979. He was a candidate in parliamentary elections for the Baalbeck-Hermel district several times, but never made it to Parliament. That statement was justified over and over, as one journalist after another succumbed to the Unidentified Gunmen infesting Lebanon. Taha laid claim to martyrdom as he was driving through West Beirut to keep an appointment with then-outgoing Prime Minister Selim Hoss. He left behind his own message to the Lebanese people. “Without the freedom of the press,” he wrote, “it would not be long before all other freedoms in Lebanon vanished. How long would the freedom of political parties remain without the freedom of the press? What would happen to the freedom of assembly? All freedoms will soon wither and vanish without the freedom of the press. 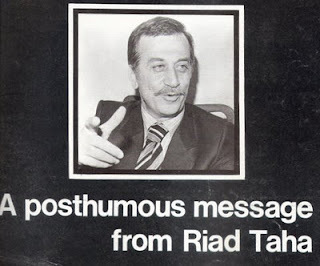 Taha’s appeal to his people to throw their weight behind press freedom appeared in Monday Morning in November 1976. It was with the charge that some Arab countries were pressuring the Lebanese authorities into muzzling the press. Taha said he needed a couple of days to look into the matter. Within two weeks both applications were approved. I got the ministry’s approval and my Press Card in May 1975. With the Al Shiraa license legally under its belt, Monday Morning reworked its title page and turned political. I bought the Al Shiraa title in 1975 from the late Mgr. Cortbawi through the good offices of my friend George Chami, now a distinguished and prolific novelist after a long mass media career. Chami -- author of such novels as “What’s Left of (Civil) Strife,” (2003) “Roots of Gold” (2005) and “Chinaberry Juice” (2008) – accompanied me to the meeting with Father Cortbawi at his vocational training and physiotherapy institute near Aley. A year later, the Cortbawi Institute buildings near Aley were pillaged, scorched and left biting the dust by the Unidentified Gunmen. Father Cortbawi died in 1979 but his institute is now thriving after being rebuilt in Adma. 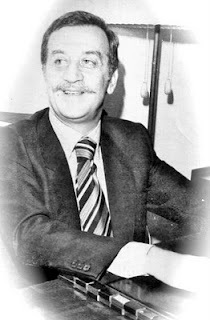 From May 1975 until his murder in July 1980, Taha fended for the Lebanese press community. If he didn’t pay Monday Morning offices a surprise visit every couple of months, he would call to ask about the staff’s well being. 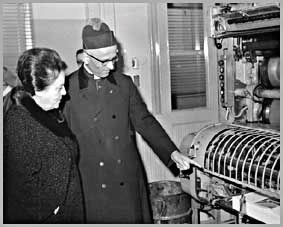 When magnetic tapes for our IBM Electronic "Selectric" Composer became unavailable in war-torn Lebanon, he made sure to bring a few on his return from trips to Europe. Closure then of the English-language newspaper The Daily Star, and renewed hope the civil war was drawing to a close, drove me in March 1977 to consider publishing a new English-language daily as a stable mate to Monday Morning. I consulted Taha on local press laws requiring every new political publication to buy a license off the market and keep the original name of that license. After decades of publishing “Ayk” as an independent, nonpartisan Lebanese-Armenian newspaper, license owners Dikran and Lucie Tosbat sold me the title. I changed the spelling from “Ayk” – which means “dawn” in Armenian -- to “Ike” and started publishing it as an English- language daily in April 1977. What I called the newspaper mattered little. What I was offering was not a name but a service and for two years my staff did everything in their power to make the offering a worthy one. But the cycle of violence and the exodus from Lebanon caught up with Ike, which folded in mid-1979. In a country ravaged by civil war, it was easier to keep a weekly afloat than a weekly magazine and a daily newspaper at the same time. Taha rang me a few weeks before his murder to say he was assembling an LPF delegation for a courtesy visit to the country’s president Suleiman Franjieh in Zghorta and invited me to join. I still declined the invite. Sadly, it was the last time we spoke. In retrospect, I suspect Taha was trying in the weeks leading up to his death to appease his pro-Syrian antagonists. The attempt proved futile. 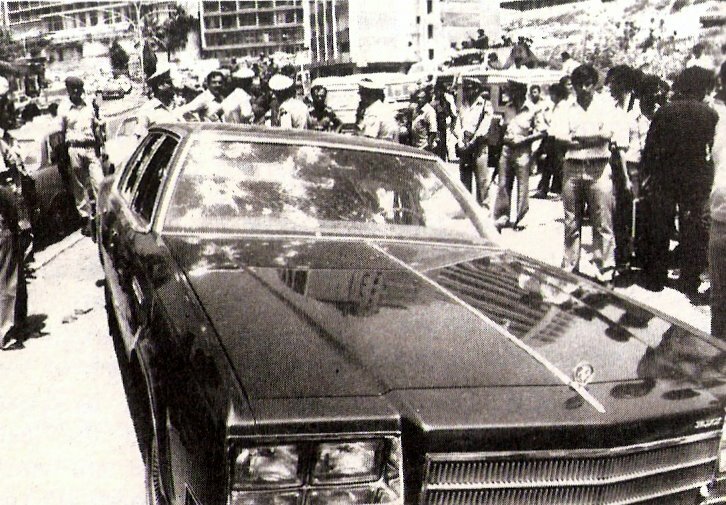 He was gunned down in Raouche, West Beirut, on Wednesday morning, July 23, 1980. He left a widow, four sons and two daughters.